Lately I’ve noticed that many people have a hard time recognizing the difference between phasers and flangers, and this is understandable. They both work the same in principle, and have a similar sound. I will explain the differences between them, give you examples of each, and show you visually what is going on. Before we begin, let’s go over what each sounds like. Phasers apply a psychedelic, supernatural sweeping sound to an instrument. It can be a subtle, ethereal, or downright mesmerizing. It’s difficult to explain exactly what one sounds like, so I’ve provided some examples. Phasers today are used heavily by jam bands like Umphrey’s Mcgee. The live version of Bob Seger’s “Travelin’ Man / Beautiful Loser” features guitars and keyboards with a prominent phaser, especially around the 3:00 mark. Steely Dan’s “Babylon Sisters” is loaded with phase effects! 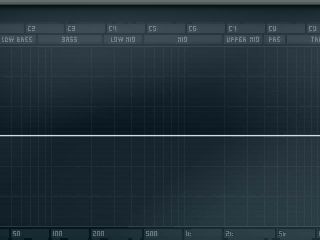 The phaser washes over the entire mix, and gives a soft dreamy element to the song. Donald Fagan seems to be a huge fan of the effect, as it’s used on many of their tunes. Flangers are very similar to phasers, but they have different characteristics if you know what to listen for. Flangers typically have a whooshing, jet plane kind of sound. Listen to the rhythm guitars on this track for a great of example of what a flanger sounds like. In order to properly explain each effect, we’ll need to go over some acoustic science. I’ll try to keep it short! This is my super simplified version of the science of sound. When an object such as a guitar string vibrates, air molecules around it begin to vibrate in all directions. These vibrations create sound waves that the ear drums pick up, and the brain perceives these vibrations as sound. Sound moves in much the same way that waves move in water. If you throw a rock into a lake, you can see the waves spreading out in all directions. When a guitar string is plucked, the string moves first in one direction, squishing the air molecules, then moves the opposite way, pushing air in that direction as well. The series returns to the beginning and starts over. Each completion of the series is known as a cycle. 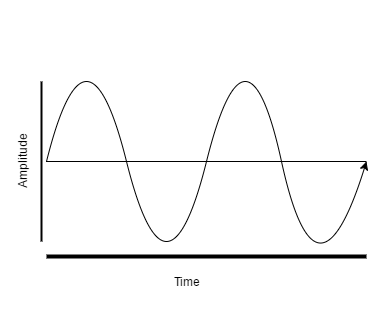 The number of cycles completed per second is known as the frequency, and frequency is measured in Hertz(Hz). Therefore, an object that completes 1000 cycles in one second is said to have a frequency of 1000 Hz, or 1 kHz. The higher the frequency, the higher the pitch. When you pluck a guitar string, you’ll notice the string will move back and forth many times, but it must always pass through the same position. Any point during this cycle is known as the phase. Every cycle starts at zero. If you have two objects vibrating at the same time, but at different frequencies, they will both start at the zero point, but the object with the higher frequency will take over the lower until they catch up. This happens over and over as long as both objects are still vibrating. This is hard to understand without an example. Here’s a good experiment to try if you have a guitar that is slightly out of tune. If you finger the 5th fret of the E string (A) and pluck the E string and the A string at the same time, you may notice an effect called beating. If one of the strings is out of tune, you’ll notice a pulsating sound. As you bring the A string in tune, the beating will slow, until it stops completely. This is how you can tune your guitar to itself, without using a tuner. A very important consequence of this is that if you add a wave to a perfectly inverted version of itself, they will cancel each other out, and no sound will be produced. With these concepts out of the way, it’s now possible to explain the difference between phasers and flangers, I hope I didn’t lose you! Let’s continue. All phasers are made differently and have and different characteristics and qualities, but they follow the same principles. First, the audio signal is split in two. One of the signals is kept completely normal, while the second one is sent through an all-pass filter which alters the phase of the signal. If you change the frequency on your pedal, it will change the amount of phasing that occurs. The signals are then mixed down into one. 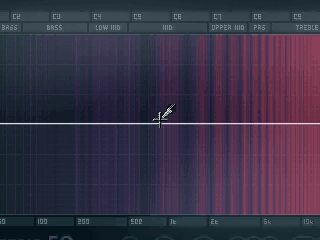 You can make the notches in the signal deeper by increasing the mix to 50%. More or less than 50% will lessen the effect. Because the phase of one signal has been changed, it cancels out part of the original signal, and that’s how you get a phase effect! You may also allow some of the processed signal to feed back into the input, creating emphasized areas between the notches. There is a great deal of customization here. Different phasers have a different amount of stages, which means it can affect different parts of the spectrum and give a more random psychedelic kind of sound. Here, I’ve generated some white noise. 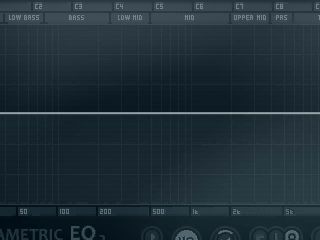 I like using white noise to analyze effects, because you can see the effect happen over the entire width of the sound spectrum. Next, I applied a phaser with 3 stages. I set the frequency to about 0.5 Hz, and I set the mixture to 50%. I also increased the gain by about 4 decibles and provided a little feedback. Look at all that movement! Notice the deep notches created in the bands, and the 3 stages adding a sense of randomness to the effect. It even looks psychedelic. While flangers work similarly to phasers, there are a few key differences that separate them. While phasers create some seemingly random, nonuniform changes to the spectrum, flangers produce a more predictable change. Phasers modulate the signal and its processing, but flangers use a more simple approach. Like a phaser, a flanger splits the signal in two, but one of the signals is slightly delayed. This slight delay, when combined with the untouched signal, cancels out part of the spectrum. Because it’s a delayed version, this creates an infinite number of equally spaced notches which are mathematically and harmonically related. Since the second signal is a delayed copy of the original, it will whoosh up and down entire band, until it “catches up” again, and starts over, just like the out-of-tune guitar strings. Let’s go back to our white noise example. In this example, I have added a flanger with medium width, low-medium speed, and high intensity. Notice how the notches are evenly spaced in the band, and it appears to compress and depress together as one. Now compare that to the phaser! They appear much different. This is all because of phase. The ear is not very good at detecting phase, but when it’s used in this way, the effect is startling. Hopefully now you have a great understanding of how phasers and flangers are similar, yet different. Now I recommend learning how to properly place your pedals in your chain. Knowing how to use a pedal is no good if you can’t make it sound nice with your other effects. Thanks a ton for reading! If you have any questions or comments, leave them below. I’d love to hear from you. Edwin, enjoyed the article. about the flanger on barracuda, any idea what model they were using? Jerry, they were using a custom built flanger at the time. However, Howard Leese and Toadworks got together later and created the Toadworks Barracuda pedal, which is pretty much dead on.